Is your group looking for a heightened sense of awareness? If so, this program is just what you’re looking for. We have partnered with YMCA Camp Weona Hough (located about a 30 minute drive of our Letchworth State Park Site Office). 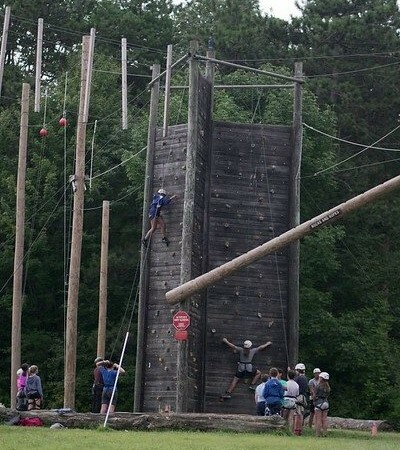 Facilitators from their organization will provide instruction on the basic skills needed and then supervise your group at their course as you spend a day in the treetops negotiating a high ropes challenge course. All activities are challenge by choice, which means that although you’ll be encouraged to try each evolution, no one is forced into doing anything he or she is afraid of. There are both low and high exercises to choose from. Programs can run from several hours to all day and are priced accordingly. Call us for more information.